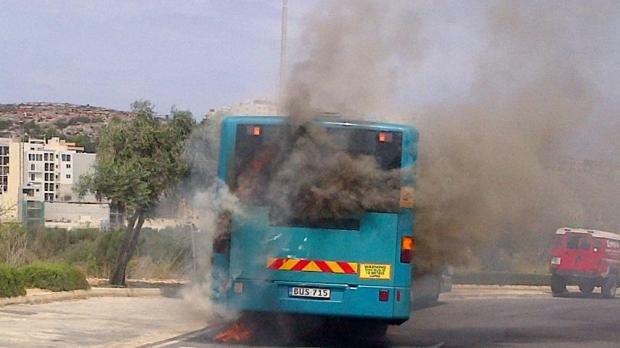 The Transport Ministry and Transport Malta have instructed Arriva Malta to take bendy buses off the road pending investigations. 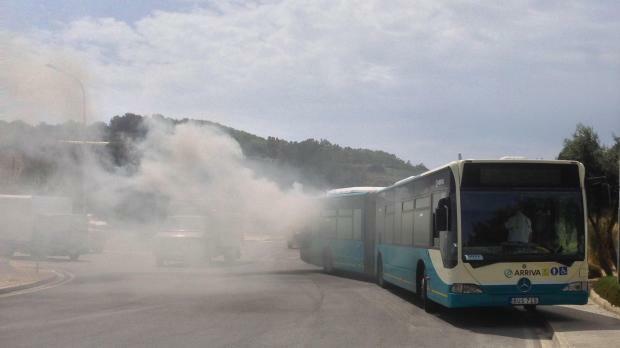 The decision was taken at an urgent meeting between officials from the ministry, Transport Malta and Arriva after a third bendy bus burst into flames in Xemxija this afternoon, the third such case in as many days. Arriva immediately agreed with the decision. The buses will be taken off the roads tonight. An independent surveyor is to be engaged to inspect all the vehicles. The bendy buses serve a third of all the routes. Earlier this afternoon the GWU had also asked Arriva to withdraw the bendy buses. It later issued a statement welcoming the decision. Today's incident took place in Xemxija roundabout at about 12.35 p.m. Thick smoke could be seen coming from the back window of the bus and the engine vents. The blaze was contained quickly. The passengers disembarked unharmed. A fire crew was on the scene. One bus was destroyed in Marsa early on Sunday morning and another was extensively damaged in Mellieha on Sunday night. Six other less serious cases were reported since the start of the year. 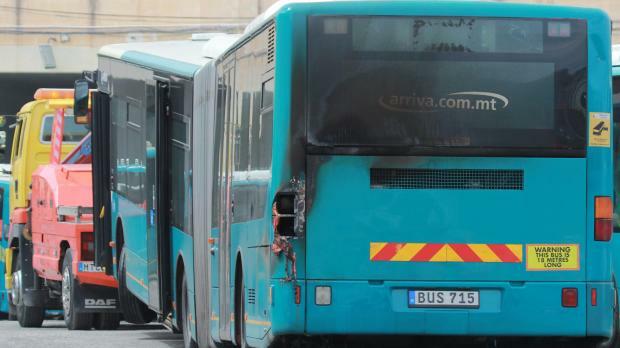 Transport Malta launched an investigation yesterday while Arriva said its buses were safe, although it was carrying out an extraordinary fleet check as an extra precaution. It also said it could not rule out arson. The fire-damaged bus being towed this afternoon. In a statement this afternoon, the General Workers' Union said it was calling on Arriva to take the bendy buses off the roads until investigations were concluded and until modifications were made, if required. The union said it had taken this position to safeguard drivers and passengers. It hoped Arriva would take up its appeal so that it (the union) would not need to resort to other actions. Yesterday the union warned it was prepared to order drivers not to drive the bendy buses.